Nerf This » So Easy! 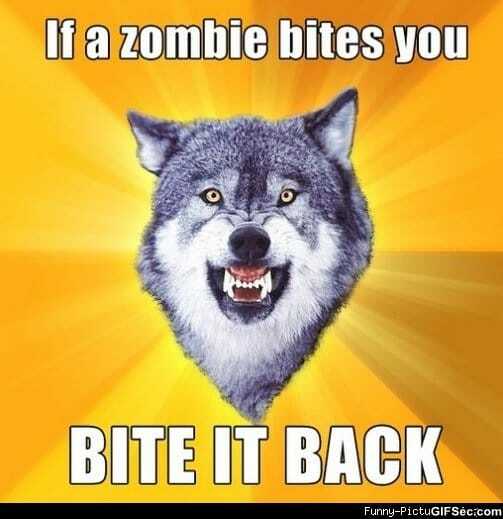 I hope this joke is slightly coherent, it’s 5:30am and I’m a bit zombie-ish right now (not in the “eat you” way, more like the “clumsy/tired walk into things” kind). Anyways, tomorrow is the reveal! Zombie-ish? Yeah, I’ve felt like that. The walking into the wall for five minutes zombie? I love Nigel’s face in the 4th panel, makes you wish his dream of freely murdering people will come true. Yeah I know how that feels.. I work shiftwork.. Zombieish I believe is somewhere between cannot possibly drink any more coffee and falling asleep at the wheel. I’m on the edge of my seat with this story arc. man. and Chinchillas, but it hasn’t gotten around to that arch yet…. Does it freak anyone else out that his hairstyle looks oddly reminiscent of Chase’s? Maybe he’s secretly his great great uncle or something! If he turns out to be Templeton, I’m going to lose it from character crossover overload. Do say! … Yep, I’d still tap that. Oh of course his face is the last part to shed the curse. Scott you little tease you. Its the way the light reflects of his eye that reminds me of a little boy who’s just discovered its christmas time, and for some reason I’m betting on it been the guy from motokool or jack the ripper for some reason…..
curious to know why the evil dude and chase have the same hairstyle??? I love how they’re infront of hundreds of people and nergil…is as we say, indecent. OMG if Finn from Scott Crossing isn’t it. Before he goes blind. Let us pray that Nergil never gets the idea to dye his hair and take over chases life. Oh dear. That’s…actually frighteningly plausible. On the other hand, we haven’t seen non-filler Nergil’s glorious moustache yet, but I’m guessing he’d be rather loathe to part with it just to get revenge. Wait. No. No, he’d actually probably be okay with that. Can I offer up a bit of concrit? I think it would work better if he said the whole thing, “THIS IS GOING TO MAKE MURDERING SO EASY!” in the third panel. Then again, nobody asked for my opinion, so…I’ll just slink off quietly now. Wouldn’t Nergil’s manstache make him look eerily similar to a mix between Chase and Mr. Mills? Gaaaah! Sparkly eyes! Kill it with fire! Maybe it’s just me, but being made of invulnerable immortal black liquid goo with monumental killifying ability would be a pretty big step up from a boring old human. Being called a freak would be small potatoes. I have the ominous feeling that Nergil is about to be killed, possibly before the big reveal. I greatly prefer insanity wolf to courage wolf. I’m going to go and call this now. Nergil passed the curse onto Chase. Mr. Scott. You should update the cast list. That is all. So…will Nergil keep his eyepatch or what? YOU NOTICED TOO!! good. i’m not mad. Cue the track “Dancing Mad”, sudden wings, and a mish-mash of religious motifs.